THE WALRUS - In which our taskforce fishes out the hot pop tittle-tattle. "There is nothing The Walrus likes more than an eccentric. Well actually there is something, but apart from a bucket of herring, a boggled mind at play is the source of his greatest joy. 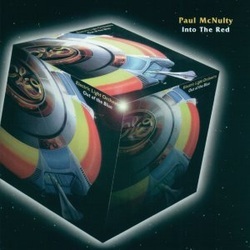 So, naturally, he was drawn to song-stylist PAUL McNULTY, the chap whose first solo album featured a wacky sleeve pastiche of Paul McCartney's 'McCartney'. Mr. McNulty, 35, says he had to do it, "because it is there, like Everest or, should I say, Abbey Road." ELO are, he declares, "the band everyone liked in the fifth form but were uncool by the sixth form". This time, he plays acoustic guitar, piano and harmonium and multi-tracks his voice to mellifluous effect. In fact, the album's instrumental, The Whale, was constructed entirely from voices. "I did it 10cc style, singing each note onto a track and playing the mixing desk like a keyboard." The realistic Mr. McNulty doesn't expect to sell a million copies of his opus. Last year he attended an ELO convention in Holland and was as perplexed as the organisers when only 16 people showed up. However, if you wish to purchase the album and can't find one in your local emporium, you can contact Mr. McNulty at www.btinternet.com/~chartstuff/IntoTheRed.htm or via 117 Maitland Park Road, London NW3 2HE. He tells the Walrus that his next project will be to cover the whole of Pink Floyd's DARK SIDE OF THE MOON using only household objects. Furthermore, he's being serious. Top chap."